Both odd and textbook trolling. Without even looking, I'm going to take a wild guess that the article is dedicated to left wingers wronged by right-wingers with not a mention of the reverse. Gee, that approach must save you a lot of time! Here I am feeling obligated to read an article, etc. before criticizing it. Even worse, I feel obligated to read the entire article if I am going to offer an opinion. I even feel the same way about posts in the Forum. Ugh- I'm am such a dweeb! I found the article illuminating. It humanized the real cost of CT-ist echo chambers on people's lives. Me too. Also, the speed with which these things now propagate is completely insane. What, and Brianna Wu didn't do or say anything? She was minding her own business when she was randomly selected for harassment by the Giant Rightist Conspiracy Theory Machine? How about the Catholic kids who were targeted by the entire leftist mainstream media, with outright lies broadcast about them internationally in an effort to demonise them and wreck their lives? You use some very selective definitions when it suits. You do not even seem to understand what a Consipracy Theory is. None of ANYTHING you are talking about has anything whatsoever to do with Conspiracy Theories. CTs are when something (usually, but not always bad) happens, and a bunch of mindless jerks decide that it was faked and that there is a massive cover up, (because reasons) and/or that the real perpetrators were either a secret government agency or organization, or a private organizations such as NWO, Illuminati, Freemasons, Bilderberg Group. The Catholic kids/BHI/Native America fracas of a coupe of weeks ago is ABSOLUTELY NOT a conspiracy theory however much you would like to re-characterize it as such! I'd say the prediction that the victims would be more on the left and the conspiracy mongers on the right was correct. Not because of bias from the publisher but because, while false accusations and conspiracies exist along the political spectrum, the business of sizeable outlets and communities unapologetically pushing conspiracy theory is just so much bigger on the right. There is no leftwing "infowars" that is comparable in scale, unfounded craziness and impact. You would have to consider Alex Jones left wing to believe that. These guys have one thing in common, they are suspicious of the government. Now that there is a right wing CTer in the White House I imagine they are having a bit of cognitive dissonance. Which is why I used the word "most" instead of "all". This is just crap. No one cares Oswald was a commie, the assassination CTs are all about different groups/people that killed JFK. Pretty sure they believe Oswald was a pawn. I'm sorry, I left out the part where I emphasized that I was a JFK-CT nutjob for 25 years in which time I read all of the CT books from Lane to Mars. I point to Oliver Stone as a left-wing CTist. Mark Lane was a leftist CTist. One produced a movie about the assassination and the other almost single-handedly spread the conspiracy theories. And yes, some people can't deal with the fact that Oswald was a Communist because it conflicts with their pie-in-the-sky version of what and who a Communist is. The KGB also advanced theories in the 1970's to this end. I suspect you don't know a lot of anti-vaxxers. Thank God, I be in jail for assault. You have more patience than I do. Who the hell is Dore and how are fake Syrian bombs something left wing? The video Loose Change pretty much single handedly started the 9/11 CT. It started with the book: L'Effroyable imposture (The Big Lie), written by Thierry Meyssan published in 2002. He claims the Pentagon was not hit by a plane, but by a guided missile fired on orders of far right-wingers inside the United States government. Further, he says, the planes that struck the World Trade Center were not flown by associates of Osama bin Laden, but were programmed by the same government people to fly into the twin towers. What really interests him, though, is what he sees as the conspiracy behind these actions. He contends that it was organized by right-wing elements inside the government who were planning a coup unless President Bush agreed to increase military spending and go to war against Afghanistan and Iraq to promote the conspirators' oil interests. To achieve their goals, the theory goes, they blamed Osama bin Laden for Sept. 11 and later broadened their targets to include the ''axis of evil,'' centered on Iraq. I'm not going to argue this crap it's off topic but the video going viral started a movement. That someone wrote a book with the CT doesn't mean anything except that we are defining 'initiating the CT' using different criteria. This seems to be a somewhat isolated incident, thankfully. You can agree that you are wrong. You don’t get to redefine “single handedly” and “started” for the rest of us English speakers, just because you misspoke or don’t know what the hell you are talking about. Jimmy Dore is a leftwing comedian who does commentary and analysis with The Young Turks, a news outlet popular with millennials and run by Cenk Uygur, a (very good) journalist who used to be with MSNBC. Looks like Dore did totally fall off the deep end on Syria. Without even looking, I'm going to take a wild guess . . .
That's what I originally said, that on the 13th of September I was briefed by my bookstore owner friend about all the faxes he'd received alleging 9-11 was staged by Bush-Chimpey-NWO, etc. If you want to hear left wing conspiracy theories, there are plenty being expounded on this forum. You don’t even have to look very hard. The problem is that there is no point in bringing them up here because so many members wholeheartedly buy into them and gum up the USA Politics and Social Issues subs. But I’ll give you an easy one: Donald Trump is dangerously mentally ill and only a brave group of rouge health professionals is exposing the truth. I know. I was agreeing with y'all. I'm pretty sure if you were to poll psychiatrists, most would say they personally think he's a narcissist and/or has antisocial personality disorder. Last edited by kellyb; 4th February 2019 at 10:51 PM. Your post is lacking a factual basis. You're still so sore at being wrong on the Trump is mentally ill thread you're even dragging it over here. Tell me, is it Trump you feel is the victim of that left wing CT? Boy you got that part right! But this belongs in the other thread as Skeptic Ginger pointed out. The two that come to mind are anti-vax (which is not political, but certainly popular among the new-age woo types) and 9/11 trutherism. And one of the conspiracy theories focused on in the article is anti-vax. So, amazingly, it's not all right wingers victimising the left. Funny, that. Sure you would. I bet if someone linked to the Daily Stormer (or whatever) you'd give the article your full consideration before assuming you knew what politics it conveyed. I think the Catholic School kid in the video with the Native American might qualify in a few years. I wouldn't be surprised, but it's a little early to call that one yet. 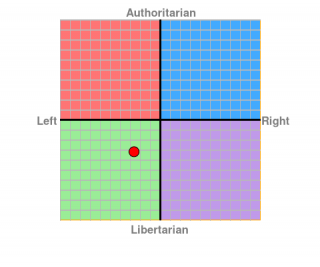 For the record, I consider you right wing but not alt-right. Last edited by Belz...; 5th February 2019 at 05:57 AM. I think that's true, and worth considering here; but there's a deeper fallacy in play, which is the belief that everything and everyone can be viewed in the ontext of left and right wing, and left- and right-wingers. I have no more or less sympathy for the decent Republicans smeared by 9/11 conspiracy theories than for the decent Democrats smeared by Pizzagate. The issue is not about left or right, but about truth or fantasy, and about resonable diligence or reckless gullibility. Framing everything here as left vs. right is simply yet another attempt to cast everything into the my-tribe-are-victims narrative, and makes no attempt to determine who actually is being victimised. [i]Here I am feeling obligated to read an article, etc. before criticizing it. Even worse, I feel obligated to read the entire article if I am going to offer an opinion. I even feel the same way about posts in the Forum. True, not only do I assume I know what politics would be in an article in the Daily Stormer, I would not even bother to click on a link to an article at that site for the same reasons I do not willing step in dog poop. But (and I hope you are reading this far into my current post) I would not comment on it or offer an opinion in a public setting such as on it on the Forum. For that I do feel an obligation to know what I am commenting on. TIL: Apparently is fine and dandy that people's lives are being destroyed by conspiracy theory cranks if they are mostly on 'the other side' and you don't like the political tone of an article portraying what they are going through. I read one news aggregator website that is a little click-baity at times. I have seen this kid and his smirk and the headline that he is "not sorry" every other day since it happened. That doesn't bode well for people hoping to fade into anonymity after their 15 minutes are up. Did anyone here say or imply this? 2nd post. Zero concern for victims, much more viritol for the article. Come now, I was in floods of tears for the victims, just like you are now. Still doesn't support your claim. You're extrapolating. Complaining about the source or political bent of an article without addressing its points was a tactic 9/11 Truthers used all the time.